In the Mystic, CT of episode of New England Living TV, Host Parker Kelley visited with Bailey Pryor, the Founder and CEO of The Real McCoy rum. While The Real McCoy is distilled in Barbados, the interview found us wondering about distilleries in New Englad. You might not think of New England as a mecca for distilleries. Let’s face it, we’re not exactly talking Scotland, Ireland or even Kentucky. But there are more than 50 distilleries spread across the six states, producing everything from award-winning single-malt scotch and special-aged apple brandy to small barrel bourbon, white rum, almond liqueur, blue gin and even spirits infused with molasses and maple. 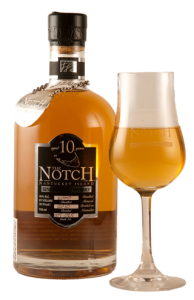 The Notch, Triple 8 Distillery’s award winning single malt whiskey. And here’s the best part: you can tour many of these distilleries and taste most of the products. (Carefully, of course). Here are a few distilleries that offer tours. 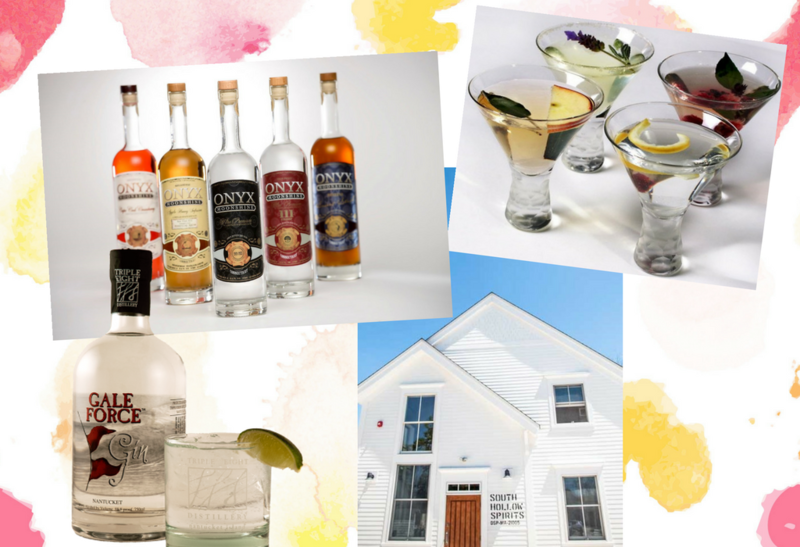 The Triple Eight Distillery on Nantucket is a great place to start. You can taste a single-malt scotch, called Notch Whiskey, that recently was judged as the world’s best single-malt, outside of Scotland, at the International Spirits Challenge in London. Daily tours do not require a reservation and are $20 per person, which includes the opportunity to taste two spirits, two wines and two beers. Back on the mainland, head to South Hollow Spirits in Truro on Cape Cod, where tours are held daily at noon and 2 p.m. Among their products is an amber rum and a spiced rum, both produced using American organic sugar cane. The amber rum is aged in chardonnay barrels. Tastings are held Monday through Saturday from 11 a.m. to 5 p.m., and on Sundays from noon to 5 p.m. For $10, you’ll receive tastes of both rums, along with a pour of the cocktail of the day. 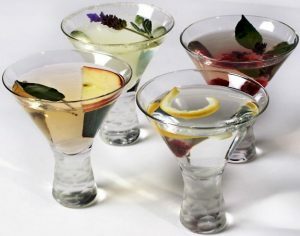 AppStrawBrandies Distillery in Branford, Connecticut produces raisin, apple and pineapple brandies made with locally sourced fruits. At Onyx Spirits in East Hartford, you can sample some homegrown moonshine. Both distilleries offer tours by appointment only. Craft cocktails created with spirits from Maine Distilleries. Maine is home to nearly one dozen distilleries, including Maine Distilleries in Freeport and New England Distilling in Portland. At Maine Distilleries, spirits are triple-distilled before bottling, with each batch numbered by hand. Among the unique offerings is Cold River blueberry vodka and Cold River gin. Tours and tastings are available daily from noon to 5 p.m.
New England Distilling has free tours on the hour Monday through Friday, noon to 4 p.m., and Saturday, 10 a.m. to 4 p.m. Watch how their custom-made copper pot is heated by direct fire, which allows for more caramelization and robust flavors. If you’re really into learning how these spirits are produced, you can attend a series of classes at Djinn Spirits Distillery in Nashua, New Hampshire. The distillery specializes in distilled gin, white whiskey and reserve whiskey. Tours with tastings are held on the hour from noon to 4 p.m., Saturdays and Sundays. The barrel room at Flag Hill Wine and Distillery. Flag Hill Winery and Distillery in Lee, New Hampshire uses thousands of gallons of pressed apples from a local farm to produce apple brandy, blue gin, spiced rum and moonshine. 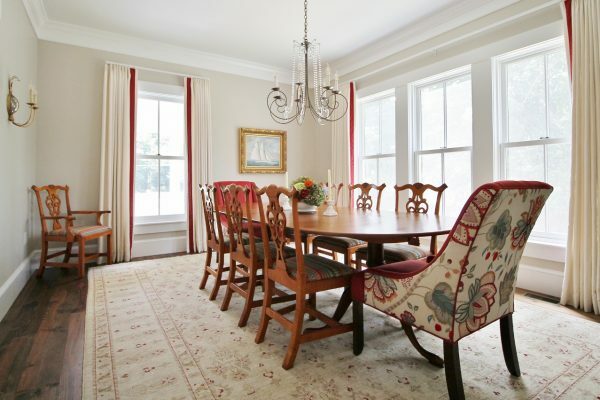 Tours are offered on weekends, with times varying depending on the season. When the Newport Distilling Company in Newport, Rhode Island opened in 2006, it became the first licensed distillery in the state in 135 years. The Thomas Tew rum, named for a local pirate, is its signature product. 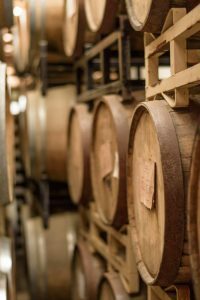 Tours and tastings are Sunday, Monday and Wednesday, from noon to 5 p.m., and Thursday through Saturday, from noon to 6 p.m.
Vermont is home to a pair of unique distilleries. American Crafted Spirits in Windsor is located in a barn and serves up gin, whiskey and elderberry vodka, to name just a few of its products. Tours and tastings are held daily from 11 a.m. to 5 p.m.
Boyden Valley Winery & Spirits in Cambridge opened in 2010 as the first craft distillery in the United States to specialize in crème liqueurs. Check out the Vermont Ice Maple Crème and the Vermont Ice Apple Crème. Tours are held daily at 11:30 a.m. and 1 p.m. These are merely a sampling of the many distilleries across New England. So, when the spirit strikes you to sample some spirits, you won’t need to travel far to satisfy the urge.